The Night Beach at the InterContinental Bordeaux – Le Grand Hotel. 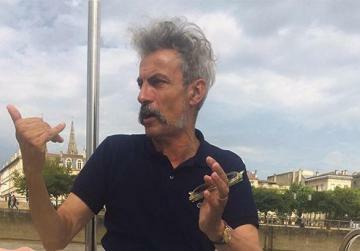 Ramona Depares lets herself be seduced by wine, sights and food at the Unesco World Heritage city that sits coyly on the River Garonne, southwest France. When I was informed that our very Malta International Airport now offered a direct connection to Bordeaux, France, my ears pricked up immediately. Bordeaux? Home of all the wines that matter, of the most exquisite food, and with some good shopping and museums thrown in? I was in, of course. The added bonus? The airline is the low-cost Volotea, so you can use up your budget on the actual holiday as opposed to flights. Here are my top five must-dos in the city. Le Chapon Fin: grandeur at its best. 5. Enjoy the degustation menu at Le Chapon Fin: Just make sure you have a good trot around the city on foot first. And you don’t eat for a whole day. No-one quite does rich food like the French do. I walked into Le Chapon Fin with slight trepidation. The decor is ostentatious and OTT enough that my heart did a tiny “uh-oh, what have I let myself in for?” flutter. Happily, it turned out the restaurant staff do not suffer from a bad case of the stiff upper lip. No sooner did we sit down than a smiling waitress explained the process for the evening – an eight-course dinner, complete with wine pairing. Now we all know the tricks of these fine dining restaurants that promise you the earth and deliver a meal that would barely satisfy a swallow’s appetite, right? I confess that this was the first traitorous thought to go through my mind when I saw the array of delicacies that were in store. Mais non. We enjoyed titbits of caviar from Aquitaine, foie gras (sorry) and blue lobster to start out with. Each course miniscule, yes, as befits starters. Yet, each morsel beautiful. Yes, I’d go so far as to use the word ‘beautiful’, not only visually but with every burst of flavour. These were followed by the heavyweight mains. We started with a sizeable serving of turbot, served with baby artichokes, crisp and delicate. We continued with pigeon breast, which turned out to be amazing, despite my misgivings. Do take chef’s advice to enjoy it slightly pink. Six courses in and I was already stuffed, if you’ll pardon the expression. The fact that I was finishing every single delectable wine that accompanied every dish didn’t help, I’m sure. A short break saw us winding down with a selection of mature French cheeses, served with warm bread. Ah, heaven. A heaven that I couldn’t refuse, despite the complaints being signalled by my rather full tummy. And, to finish off, blackberries served on a biscuit, accompanied by coffee and Aquavit, a clear French brandy that is not for the faint-hearted. Verdict? Le Chapon Fin is not just fancy words, it delivers. I’m already planning a repeat visit just for that pigeon breast. 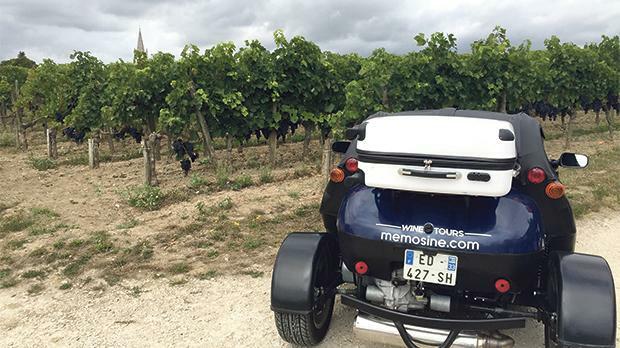 Touring vineyards on a Memosine cabriolet. 4. Take a Memosine Wine Tour: This one is incredible fun. The premise is this: you rent out a two-seater cabriolet and set out on your own private adventure around the surrounding wine region. We took the St Emilion tour (they also do Medoc, Bordeaux and Graves Sauternes, among others) and spent a day happily traipsing around a number of chateaux, enjoying wine-tastings. Most notable was a visit to Chateau La Serre. The good news is that, after you enjoy your wine, you can walk it off exploring the mediavel city of St Emilion, which is tres charmant and offers multiple sightseeing opportunities. The drive there and back is also full of spectacular views (including the must-see Petrus estate, in Pomerol). Cars are equipped with pre-programmed GPS and support is always at hand, so messing it up and getting lost is practically impossible. La Cité du Vin – the recently-opened museum shaped like a decanter. 3. 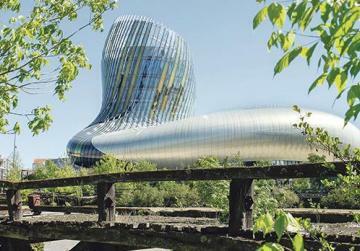 Visit La Cité du Vin: This is the recently-opened museum dedicated to all things wine. Now, if you’re anything like me, you’ll be thinking: “why on earth should I visit a wine museum, just give me the stuff to drink”. You’d be missing out. This is easily the most cutting-edge and fun museum I’ve visited. For starters, it’s shaped like a massive decanter – true story. The permanent exhibition is incredibly interactive and immersive, with about 20 different areas to explore. You are given a cutting-edge audio visual guide at the beginning of the tour and then let loose to discover the place at leisure through a journey that takes you across the entire world’s wine regions. My favourite areas were the more ‘artsy’ sections – an area where you could chill to the sound of wine-related songs and art; a 180-degree cinema experience; a sensorial exploration of colour and taste... you get the idea. And, because this is France after all, the tour ends with a visit to the top floor, the Belvedere, where you enjoy 360-degree views of the city and, of course, a glass of your wine of choice from a very vast range. You can hardly expect less from a museum run by the Fondation Pour la Culture et les Civilisations du Vin, which was instituted precisely to promote wine as a culture and a lifestyle. And this is why we love the French. Bruno masterfully conducting the boat tour. 2. Take a river cruise down the Garonne: The scenery is so pretty, the vibe so serene, that this is a real must-do. We were lucky enough to have Bruno for guide. A couple of words about Bruno – absolutely charmant, would flirt the socks off man or woman, extremely entertaining in a witty, self-deprecating sort of way, and really knows his stuff. The man was so stereotypically French, complete with Lacoste shirt, drainpipes and lanky insouciance, that all he needed was one of those huge baguettes peeping out of his bicycle tray. Bruno served us history with croissants and cafe au lait and we lapped it all up hungrily, snapping photos and trying to imagine the dirty, black Bordeaux of yore. 1. 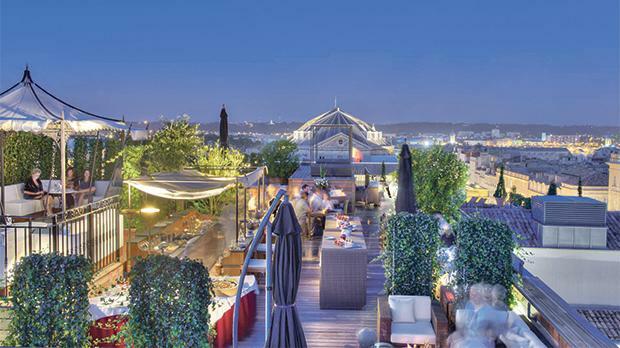 Feast your eyes on the Bordeaux skyline: If you’re visiting in the warmer months, leave some time for a nightcap at the Night Beach, the Intercontinental’s beautiful rooftop bar. It’s where it all happens in summer – starting with the sophisticated cocktails and moving on to the shots (naughty), all this while taking in spectacular 360-degree views of the Bordeaux skyline. The bar itself is stunning, presenting a soothing landscape of soft lighting, sofas and parasol pines. Mellow is the keyword here, as suave locals mingle with tourists for an unbeatable good vibe. I flew Volotea, a low-cost airline that will get you right to Bordeaux–Mérignac Airport, a 30 to 40-minute drive away from the city centre. A direct shuttle service is available. Currently, flights are scheduled every Thursday. The InterContinental Bordeaux – Le Grand Hotel, a majestic building bang in the city centre, within walking distance of the shopping area, restaurants and main sites. 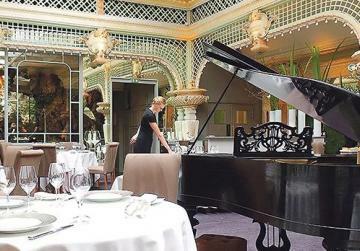 The hotel also features Le Pressoir d’Argent, a Michelin starred Gordon Ramsay restaurant.